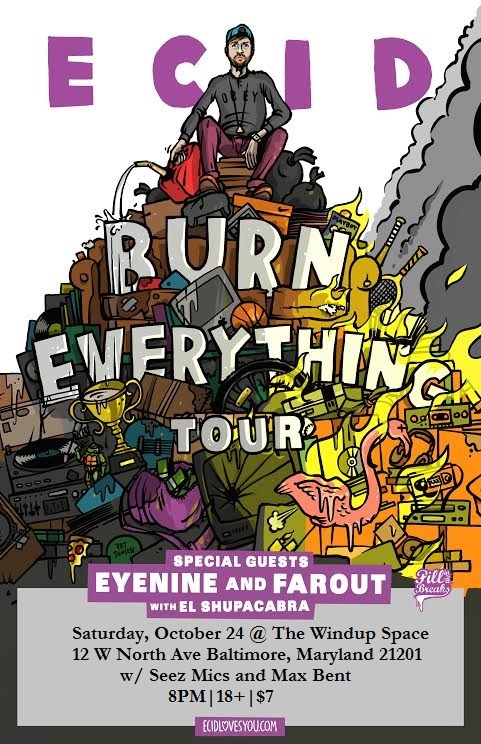 Crushkill Recordings affiliate ECID is bringing his “Burn Everything Tour” to Baltimore at The Windup Space on Saturday, October 24. Seez Mics will be performing material from “Cruel Fuel” and the album’s producer/beat-box extraordinaire Max Bent will be doing a full-blown beat-box set. Also performing are eyenine and Farout.